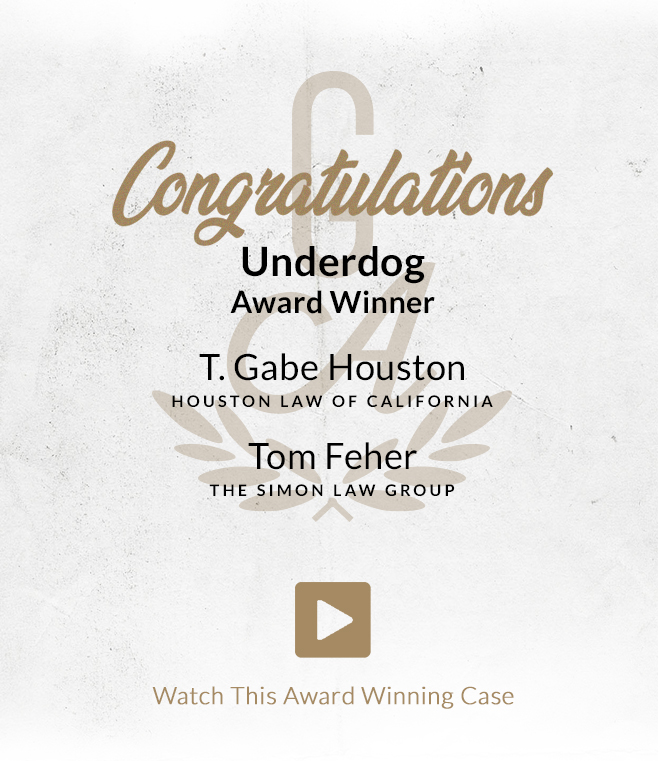 The Underdog Award celebrates the success of a small firm or independent attorney who demonstrate great heart and resolve in their efforts to litigate on behalf of their clients. 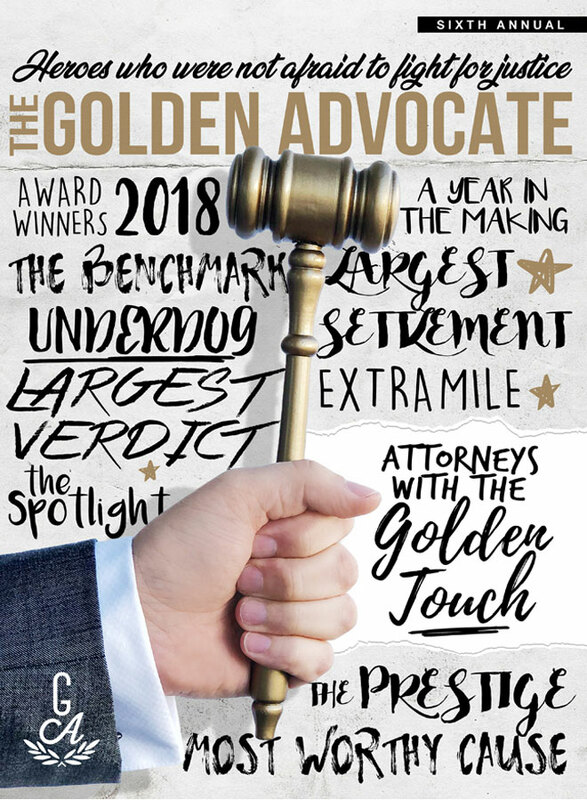 Winning the Underdog Award for this year’s Golden Advocate are attorney T. Gabe Houston of Houston Law of California and attorney Tom Feher of The Simon Law Group! Attorney Houston reached out to attorney Feher and joined forces against Suzuki, who despite knowing of a flaw with the manufacturing of their motorcycles, continued to sell the defective bike model for years. Consequently, the faulty motorcycle brakes failed the attorneys’ client causing him to crash and sustain multiple injuries. The tenacity of these astounding attorneys when working up the case helped them reach an $8 million verdict against a formidable opponent.